I became a fan of Metallica when one day, while visiting friends, I watched the video clip for Nothing Else Matters. It was about 1993 then, and I was too busy sticking my nose in books and getting good grades to pay attention to anything else. After borrowing some albums from those same friends (The "Black Album" was my first, but others soon followed), I was a fan. And then out of nowhere I started drawing those very cool M's from the logo all over my notebooks, text books, school tables, and even on my volleyball. 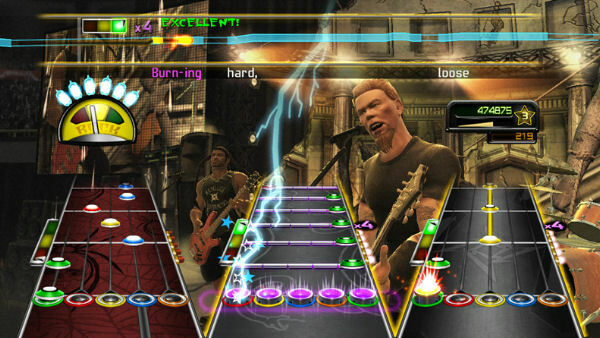 Guitar Hero: Metallica brought all the memories back of the time spent with friends on the beach, playing volleyball, listening to music tapes (yes, tapes!) on a cassette player. 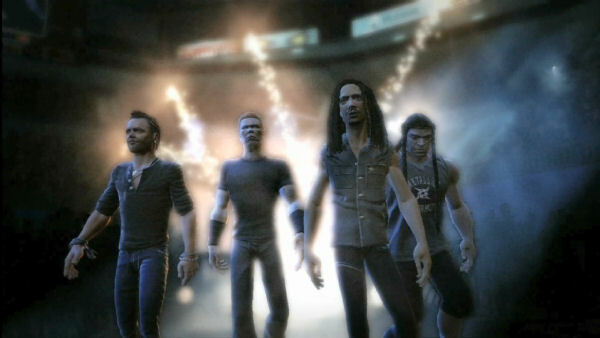 And no matter how many Guitar Heroes I have played (all of them, really), I have to say none grabbed me right from the intro as Metallica did. Jaw drop moment as the band walks up to the stage in slow motion: James Hetfield, Kirk Hammett, Robert Trujillo and Lars Ulrich, who has this look as if to say "That's right, we're gonna rock your socks off - and then some", only to place you straight into the action by playing a song and doing an encore. 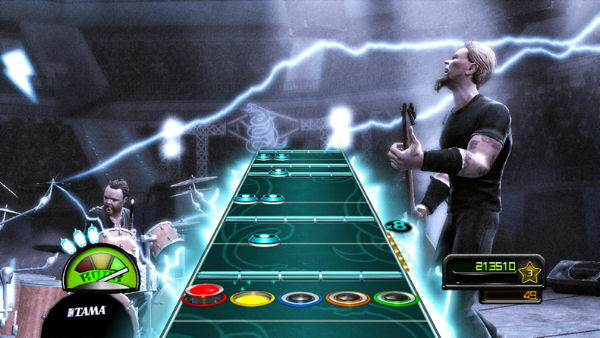 Guitar Hero: Metallica is based on Guitar Hero: World Tour. 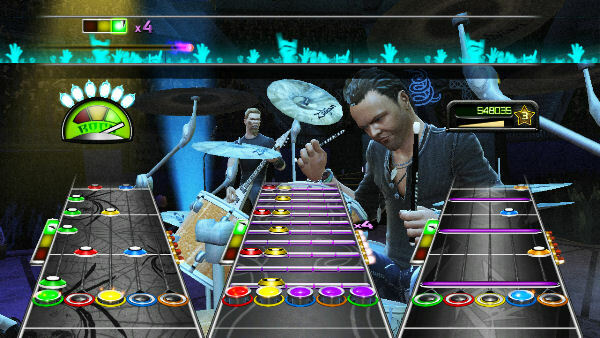 Although you can play solo, band play is also available. In fact, some of the achievements (including the tutorial one) require you to have all the instruments and play through career with all of them. 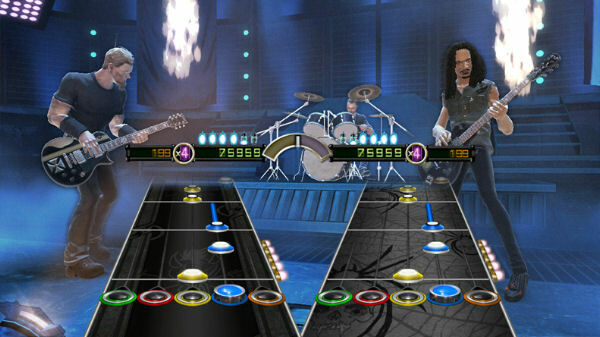 All the difficulty levels of World Tour were maintained: Beginner, Easy, Medium, Hard and Expert. However, there is a new one for the drums: Expert+, which requires two pedals, matching your performance with Lars Ulrich's drumming style. The song list is right on the back of the game cover, so you can right away see if this is the game for you. Or not. Metallica's 28 songs include hits such as Enter Sandman, The Unforgiven, Fade to Black, Wherever I May Roam, Nothing Else Matters, One, Master of Puppets, No Leaf Clover and King Nothing, which are some of my favorites. The additional 21 tracks were picked by the band members themselves, but to be honest, I found myself skipping over most of them (with the exception of two or three) only to play the Metallica ones. 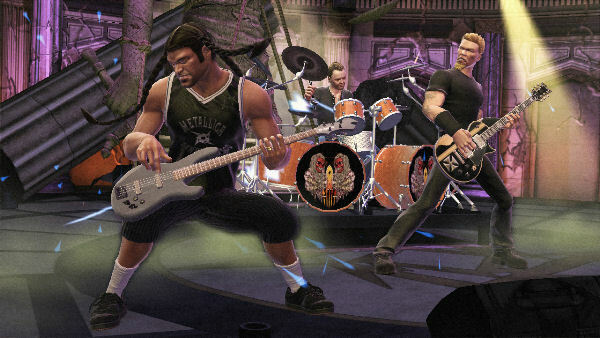 Basically, you play as Metallica when you select one of their songs, but you play as your own band when any non-Metallica song is selected. 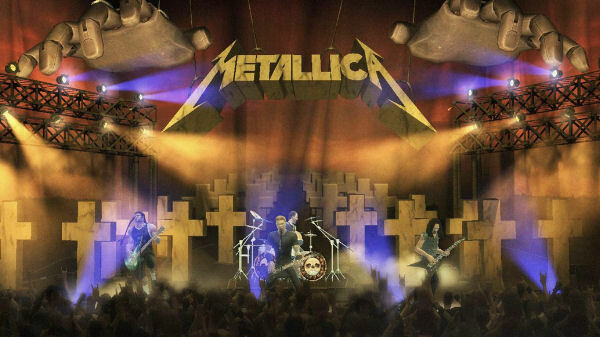 The venues are based on covers of the band's albums, including And Justice For All, Ride The Lightning and Master of Puppets, complete with animatronics and pyrotechnics, be it a Lady Justice statue breaking into pieces or a marionette's hands making devil horn gestures high above the band. My only real gripe is that some of my favorite songs aren't in there (Whisky in the Jar, I Disappear, Don't Tread on Me, Hero of the Day) and the only downloadable content available is for the band's latest album, Death Magnetic. I would have gladly seen all the "guest shows" replaced by more Metallica, or even more albums as DLC. 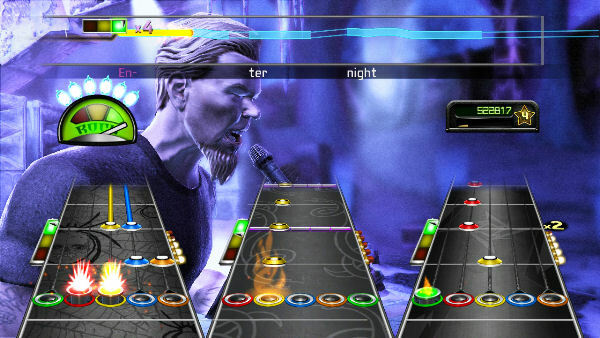 But I have to admit, this is the best Guitar Hero I've played so far. 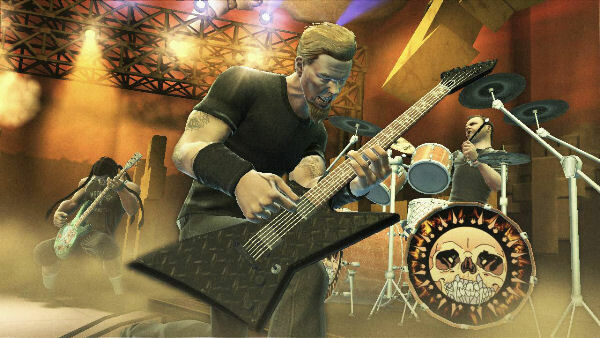 And no other Guitar Hero game before has made me stand up proud, raise my arms up high and give my imaginary audience the devil horns sign at the end of a song. 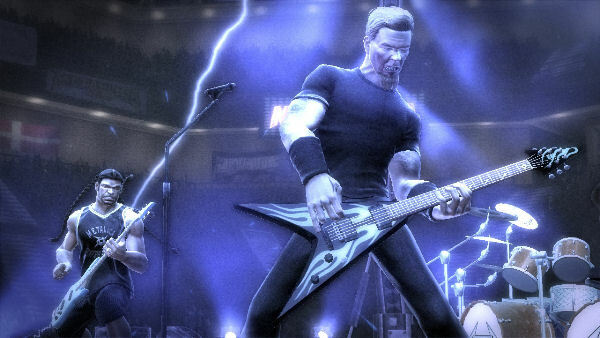 Die-hard Metallica fans will love the extras such as live video of performances and Metallifacts (think Pop-Up Video, where trivia pertaining to the selected song comes up as you watch the virtual band perform it). I think the one thing that might turn off any fan of the band is the game's retail price, but with so many positive selling points, I think we can overlook that most negative one. Special thanks to Jordan Dodge and RedOctane for providing a copy of this title.